Whose actions/efforts did more to advance and disseminate the prestige of science? The spirit of the question asks about Einstein’s and du Châtelet’s efforts, not the effects of their work. You are, of course, free to interpret it however you like. 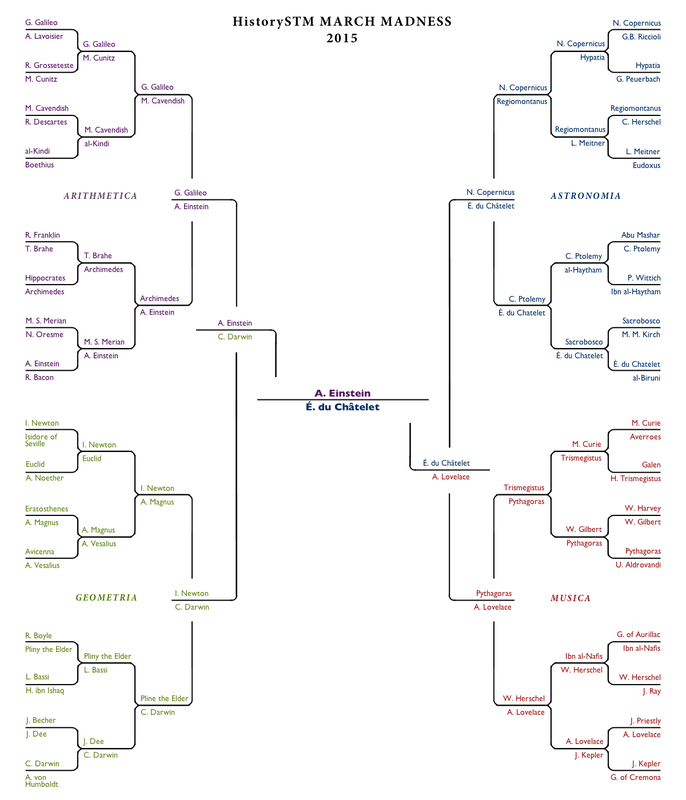 2015 HistorySTM March Madness Round 5: The Final Four (click to embiggen).